It may seem hard to believe, but spring is just around the corner. Whether you live in an area with harsh winters or a part of the country with sunny skies year round, spring is an excellent time to give your home a thorough cleaning. We’re not just talking a little dusting and straightening up. To achieve a deep clean that will last throughout the entire year, you need to roll up your sleeves, gather your cleaning supplies and tackle areas you might ordinarily miss — like window tracks, which can get grimy and coated with dust. Here’s our how-to guide for performing a spring cleaning that will make your home sparkle inside and out. Before you start cleaning, it’s important to assemble a few basic supplies. The good news is you don’t have to spend a lot of money on store-bought products to clean effectively. In most cases, you can find safe, non-toxic cleaning supplies right in your own pantry or medicine cabinet. White Vinegar – White vinegar is mildly acidic, which means it will remove everything from dirt to soap scum without harming your tile grout, porcelain or other surfaces. Although it’s reported to be safe for use on hardwood floors, you should always check with your flooring manufacturer or installer before using any cleaning product. Baking Soda – You already know baking soda is great for keeping your fridge smelling fresh. But did you know it can do the same for the rest of your home? Because it’s a mild abrasive, it’s perfect for scrubbing and lifting stubborn stains. It can also help stop clogs from forming in drains: Just pour a ½ or ¾ cup down the drain, followed by a little hot water — just enough to wash the baking soda down — then let it sit for at least two hours. Rinse thoroughly with more hot water afterwards to keep drains clog- and odor-free. Rubbing Alcohol – It’s not just for scraped knees. Rubbing alcohol evaporates quickly and can be used to clean windows, mirrors, chrome and tile. Window tracks can accumulate muck and grime that can seem impossible to clean. Fortunately, it’s easy to remove dust, dead bugs and dirt that find their way into your window tracks. Start by sprinkling baking soda over the dirty areas, then add a little water or vinegar to activate the baking soda. You might see it start to bubble, which is totally normal. Let this mixture do its work for about 10 minutes. Grab an old toothbrush or a cheapie from the dollar store and sweep the grime from the corners toward the center of the window track. When you’ve raked all the build-up to the center of the window track, simply wipe it away with a damp paper towel. You may need to repeat this step a few times, but the end result will be a sparkling clean window track. The easiest way to wash windows is by paying attention to how the pros do it. In an interview with This Old House, expert window cleaner Brent Weingard explains that traditional methods of spritzing windows with commercial cleaners and wiping (and wiping … and wiping) with paper towels are not only tedious, but also much less effective than using homemade window washing solution and a squeegee. To make your own window washing solution, just grab some dishwashing liquid and add warm water. Weingard says to go easy on the suds for sparkling windows that will stay clean and shiny longer than windows cleaned with sprays and paper towels. Kitchen remodels are among the costliest home renovations, with prices ranging between $4,500 and $49,700. If you don’t have the budget for new flooring, lighting or cabinets, why not try cleaning the ones you have? With some determination and a little elbow grease, you might be surprised how much better your kitchen looks. You might not notice it, but kitchen cabinets can easily become coated with grease and grime — something that’s inevitable in an area where cooking oils are used. The folks at Bob Vila recommend baking soda or vinegar mixed with several cups of warm water. If you decide to use baking soda, simply mix a couple cups with warm water. For vinegar, one or two splashes with warm water is sufficient. Go with a microfiber cloth rather than paper towels, as the paper won’t hold up during a thorough scrubbing. Stainless steel appliances have become popular in recent years. However, many homeowners worry about using harsh or abrasive cleaners that can scratch the steel and ruin the sleek look. To restore your stainless steel appliances to their original, shiny state, spray them down with plain vinegar and wipe with a microfiber cloth. One tester at the Kitchn had great success following the vinegar with a dab of mineral oil or olive oil gently rubbed into the surface — just make sure to polish in the direction of the grain. Your dishwasher goes through a wash cycle several times a week, so it’s already clean, right? Wrong. The dishwasher is the workhorse of the kitchen, and failing to give it a good cleaning a couple times a year can lead to unpleasant odors and a shorter lifespan. The experts at Consumer Reports say it’s important to clean your dishwasher’s filter about once a week. In most models, the filter is located under the bottom rack. If you keep up with regular filter cleaning, you should be able to simply rinse the filter under warm water in the sink. To give the inside of your dishwasher a refresh, put a clean bowl filled with two cups of vinegar in the bottom rack and run your dishwasher on its normal cycle without detergent. Most ovens are equipped with a self-cleaning feature that will burn away crumbs, spills and other debris, which can be wiped away with damp paper towels or a cloth. However, some homeowners are understandably hesitant to use the self-cleaning mode on their oven, as it causes the oven to reach temperatures as high as 900 degrees. Fortunately, there is an easy and affordable alternative to get your oven looking new again. Combine warm water and baking soda in a bowl until it forms a paste. Spread the paste over any dirty areas inside your oven and let it sit for anywhere between 12 and 24 hours. Then, simply wipe it away with damp paper towels. Any baked-on food or spills will wipe away. Cleaning the inside of your refrigerator may seem like a daunting chore, but it doesn’t have to be. According to Real Simple, you can take your fridge from funky to fabulous in about 20 minutes. The key is to empty everything out — which can be a good way to get rid of old bottles and expired products you should throw out anyway. Next, remove the drawers and let them soak in warm, soapy water. Use a multipurpose spray or some vinegar to wipe down the inside before replacing the drawers. Granite countertops are known for being low maintenance, but they will last longer and look better if you take care of them. According to the DIYNetwork, you should avoid using vinegar, bleach or products like Windex on granite, as these can dull the surface. Instead, opt for a simple solution of warm, soapy water or a 50:50 ratio of water and rubbing alcohol. To keep your laminate countertops in tip top shape, the cleaning pros at Merry Maids say to keep it simple with warm water and dishwashing soap. To lift stains, you can make a paste from water and baking soda, then let it sit for about five minutes before wiping — not scrubbing — it away. Wood flooring is beautiful and durable, but using the wrong kind of cleaning product can cause serious damage. The National Wood Flooring Association says it’s important to avoid cleaning products meant for use on vinyl and tile, as these can make wood dull and slippery. You should also follow your flooring manufacturer’s cleaning recommendations, which will be specific for your floor’s particular finish. The NWFA recommends a maintenance coat every three to five years, and a total refinish “every few decades.” For regular maintenance, you can use a dry mop with a microfiber cloth or a vacuum with the beater bar turned off. Although both the NWFA and Better Homes and Gardens say it’s okay to use a wet mop to get a deeper clean, never saturate the wood. Instead, wring out your mop until it’s damp, taking care to avoid allowing any puddles of water to sit on the hardwood. Your mattress may spend most of its time covered by sheets and other bedding, but it still deserves a deep cleaning every now and then. The consumer product experts at Consumer Reports recommend giving your mattress a good vacuum with your vacuum cleaner’s upholstery attachment. Next, sprinkle baking soda over the surface to absorb any odors. If you spy any stains, you can spot treat with a stain remover or a solution of water and one teaspoon of dishwashing fluid. Before you replace your bedding, vacuum the baking soda. Winter weather can do a number on your home’s exterior, including your vinyl siding. According to Family Handyman, you don’t necessarily need special vinyl siding cleaner to get the job done. In most cases, a bucket of warm, soapy water and a soft-bristle cleaning brush will work just fine. However, if it’s been a while — or never — since you cleaned your home’s vinyl siding, a non-abrasive bathtub cleaner or an ammonia-based cleaner can help lift stains and tar. For pressure washing vinyl siding, Roy Berendsohn at Popular Mechanics says it’s critical to select the right kind of pressure washer for the job. According to Berendsohn, an electric model probably isn’t going to pack enough punch to get rid of tough stains and dirt. For a true deep clean, consider renting or purchasing a gas engine model. When it comes to spring cleaning, spiffing up your home’s concrete may not be the first thing that comes to mind. However, it’s important to look after concrete driveways, patios and sidewalks. Some modern homes even have concrete flooring in main interior living areas. Keep your concrete looking beautiful and lasting longer by doing a thorough clean at least once a year. According to the pros at Bob Vila, a simple bucket, scrub brush and some biodegradable detergent will get you a long way if you have concrete inside your home. Outdoors, you can use a pressure washer to lift stains and grease. Keep in mind that concrete is a porous material that can trap stains and harbor bacteria. By giving it a little TLC in the spring, you can keep it looking sharp all year long. If you have an asphalt driveway, you can extend its lifespan by keeping it clean. To clean asphalt, apply a mixture of detergent and water on the surface and use a scouring brush or stiff-bristled broom to spread it evenly across the driveway. When you’re done, just hose off the solution and let the driveway dry. Gutters and downspouts protect your home from damaging moisture, which can enter your house through the roof and at the foundation. If you allow your gutters to get clogged with leaves, dirt and debris, they can’t do their job. The home experts at House Logic recommend cleaning your gutters at least once a year — twice if you have trees that hang over your roof. You can keep your gutters functioning properly by using a small shovel or gutter scooping tool to clear out any accumulated gunk. When you’re done, flush your gutters with a garden hose. To stop buildup in your gutters, you can also install gutter protection like Englert® MicroGuard gutter screens, which stop large debris like leaves from entering the gutter. Aside from watching it go up and down when you enter and leave, you might not give your garage door much thought. However, your home’s garage door is a prominent exterior feature — and one that people notice. Rejuvenate your aluminum or steel garage door with a scrub-down using warm, soapy water. For wood garage doors, Lowe’s recommends using a soft, dry cloth. Once your garage door is sparkling clean, it’s time to turn your attention to the garage floor. The experts at HGTV recommend using a commercial degreaser to lift grease left behind by vehicles — but only if your garage floor is made of concrete. If your garage has an asphalt floor, the only safe material to use is a regular detergent, as degreasers, paint thinners and other chemicals will cause asphalt to break down. Once you have removed the stains, spread soapy water around and rinse it off. If your garage floor still looks drab, you can spruce it up with a fresh coat of paint. Many home improvement stores sell paint specifically formulated for garage floors. 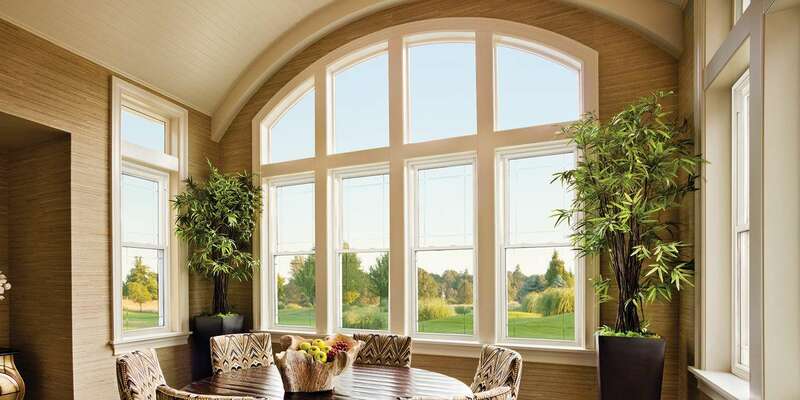 It’s easy to forget about window screens — after all, they are designed to be looked through, not at. However, window screens can accumulate a lot of dirt and grime, especially on the outside. Next, spread all of your screens on a tarp or drop cloth and spray them down with a garden hose on a low setting. Scrub them gently with a mixture of three parts warm water and one part ammonia. Give them a final rinse, let them dry thoroughly and you’re ready to pop them back on the windows. The only thing left to to do is enjoy the view! You can make your deck last longer by performing regular maintenance, including a thorough cleaning at least once a year. Once you have swept your deck free of leaves, dirt, and debris, spray it down with a garden hose on a pressure wash setting. The pros at DoItYourself.com say it’s okay to use an actual pressure washer, but it’s important to use the proper technique if you decide to go this route. If you get too close to the decking, you can damage the wood. Instead, leave a few feet between the spray nozzle and the deck and use a fanning motion as you spray. When you’re done spraying down the deck, use a solution of water and regular laundry detergent to remove any leftover dirt or stains. As the main entry to your home, the front porch is usually the first thing people see when they visit. Because many homeowners enter and leave the house through a side door, they may not realize their front porch is in need of a makeover. Real Simple says it’s easy to beautify your porch in just 10 minutes. Remove cobwebs with an extendable duster or cloth. Wipe down the front door and any outdoor furniture with a damp cloth. You should also wipe down railings, shutters, sills and woodwork with a damp cloth, followed by a dry cloth. Before replacing rugs, plants and furniture, scrub the porch floor with warm, soapy water. Although you might have to wait for warmer weather to begin planting, there are still plenty of things you can do to freshen up your home’s landscaping for spring. According to Angie’s List, even the simple step of clearing leaves from your flower beds can dramatically improve your home’s curb appeal. It’s especially important to remove leaves that have accumulated around downspouts, as this can cause water to back up in your gutters, leading to water damage. You can also check your plants for damage that occurred over the winter, cart away broken branches and prune plants and trees that have dead spots. When you’re done, spread two to three inches of mulch to get your landscaping ready for this year’s planting. Spring is a time of renewal, and a comprehensive spring cleaning can go a long way toward restoring a home’s beauty and curb appeal. However, cleaning can only go so far. If your home needs a new roof, windows, doors, gutters or siding, Nu Look Home Design can help. Call us today at (800) 279-5300 to learn more. ← How Much Do New Gutters Cost?